As the leading veterinary association for companion animal vets and veterinary nurses, we want to ensure that you have access to comprehensive range of member benefits which can help you in your daily life. MyAssociation benefits comprise access to publications and other resources from BSAVA, discounts on our products and services, and more. BSAVA Small Animal Formulary Part A: Canine and Feline: doses and other species specific information, plus protocols and other useful information. BSAVA Small Animal Formulary Part B: Exotic Pets: covering small mammals, birds, reptiles, fish and amphibians. 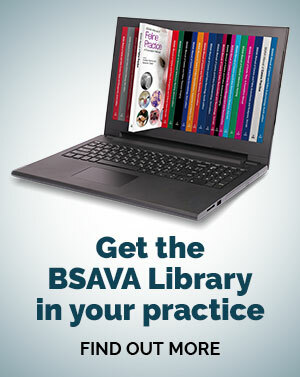 BSAVA Guide to Procedures in Small Animal Practice: practical step-by-step guidance on how to perform the diagnostic and therapeutic procedures commonly carried out in small animal veterinary practice. Note that this resource is not freely available to veterinary Nurse Members and Veterinary Nurse Student Members. Companion: our monthly membership magazine with CPD, news and reports on issues facing the profession. Journal of Small Animal Practice: BSAVA's monthly peer-reviewed scientific journal, with reviews and articles on small animal practice. The journal is hosted on Wiley Online Library, and you can access the full text via the JSAP page on this site. Congress Proceedings: a fantastic resource containing the lecture summaries with their accompanying audio and video podcasts, where available, and clinical abstracts from our annual congresses. Client information leaflets: a collection of practice resources including drug leaflets, behaviour handouts and information on exotic pets. You also receive a member discount on all book, chapter and library pass purchases within the BSAVA Library. PDP resource bank: a structured collection of resource built around the RCVS PDP competences. Professional key skills: online CPD to equip you with the key skills required for inclusion on the RCVS Advanced Practitioners list. Note this is not available to student members. Poisons database: covering the most commonly encountered toxic agents. Note this resource is not available to veterinary nurse students. PR advice: helping you achieve positive PR for your practice. 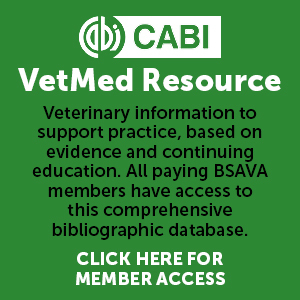 CABI VetMed Resource: a huge bibliographic database provided by CABI and available to BSAVA members. Jobs board: post your practice vacancies.